Want to quickly see how the open-source software xEpan works? You'll find a free and updated demo installation of xEpan here. We are currently updating the xEpan demo. Please check back shortly. There will be a new version up soon. 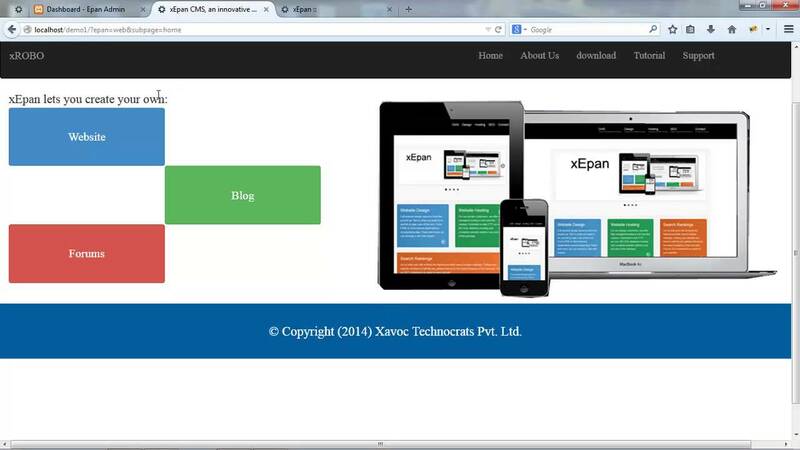 xEpan CMS is a free content management system developed based on PHP 5.3 as a programming language and a MySQL database. 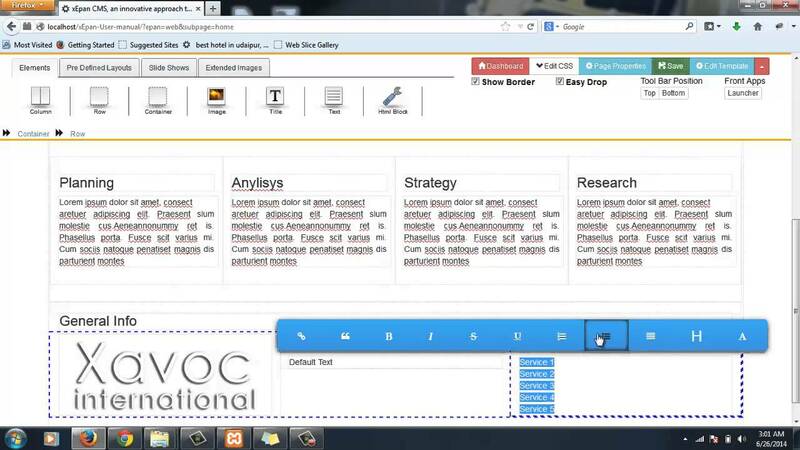 xEpan CMS stands out through its drag and drop feature and in-place content editing. If you set up your own xEpan CMS demo you’ll notice that you can extend its features thanks to its modular architecture. 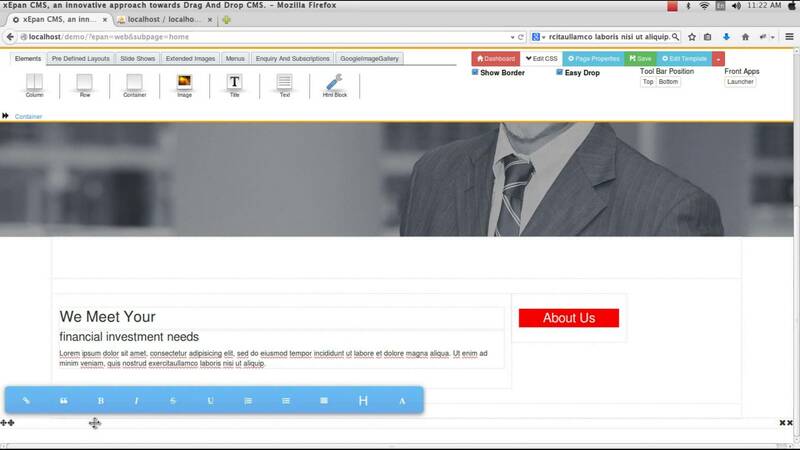 The screenshots below give you a preview of how a demo site looks like, but you can also download it using the link below and create your xEpan demo site to see what it has to offer. The latest version available for download is 1.0.4.1 and was released on December 19, 2014.